1-2 Act 1 Scene 1: In Sooth I Know Not Why I Am So Sad? Phonographic Copyright (p) – BBC Worldwide Ltd. Copyright (c) – BBC Worldwide Ltd. Presented in "fat-boy" double jewel box with two inserts. The first is a simple 6-panel with cast, chapters and information on other releases in the the BBC Radio Collection etc. The other is a full 16pp booklet with introduction on Shakespeare and interpretation by the producer, scene by scene synopsis, full character analysis and cast profiles. 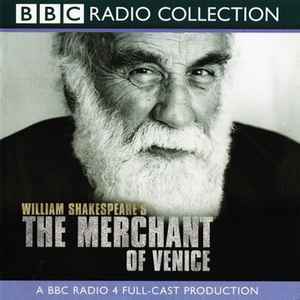 First broadcast BBC Radio 4 on 18 November 1996. Introduced by Richard Eyre, former Director of the Royal National Theatre.